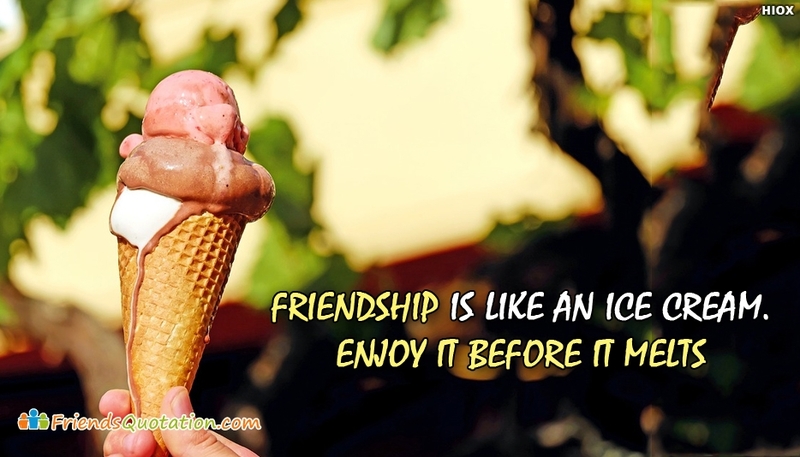 This is a beautiful friendship picture which displays the traditional friendship quote "Friendship is Like An Ice Cream. Enjoy It Before It Melts". Its so true that in life, every relationship has a time and bonding, which when you miss it you could not get back the right time. Share and enjoy friendship at the right time.